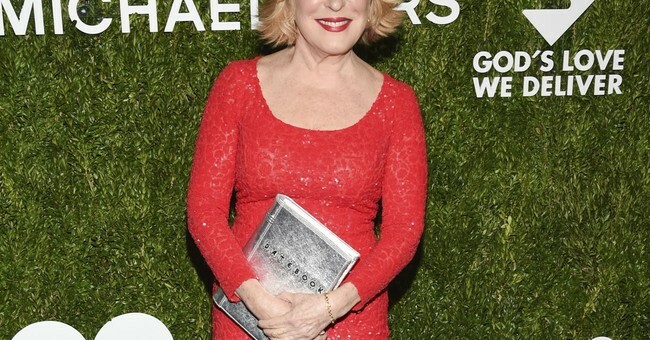 Bette Midler tweeted that women should “buy stock in coat hangers” while live-tweeting President Trump’s State of the Union Speech on Tuesday night. During the speech, President Trump received applause from Republicans when he criticized liberal efforts to legalize late-term abortions in Virginia and New York. Apparently Midler did not agree with the president’s assessment of the situation. The actress and singer sent the disturbing tweet to her 1.53 million Twitter followers. “Buy stock in coat hangers! Here we go, 60 years, back to the back alleys,” wrote Midler. Midler published the tweet immediately after President Trump remarked that “there could be no greater contrast to the beautiful image of a mother holding her infant child than the chilling displays our nation saw in recent days.” Trump’s statement was referring to controversial comments made by Virginia Governor Ralph Northam. Northam is a former pediatric neurologist who didn’t become engaged in politics until later in life. Currently embroiled in controversy over photographs from his medical school yearbook, allegedly depicting the governor in blackface, Northam has recently come under fire for defending late-term abortion. In a radio interview last week, Northam described a hypothetical scenario where a newborn baby who is either severely deformed or unable to survive after birth is left to die after an abortion. He said the infant could be resuscitated only “if that’s what the mother and the family desired, and then a discussion would ensue” between the mother and attending physician. Republicans condemned the governor for supporting infanticide. New York Governor Andrew Cuomo has also recently come under fire for his remarks about abortion. The Democrat and self-identified Catholic, who says he is able to separate his religious beliefs from his work in politics, recently defended New York’s Reproductive Health Act.The legislation essentially codifies into state law the abortion rights protected by Roe v. Wade. The law allows for non-doctors to perform abortions, and permits abortion up until a mother’s due date. Cuomo signed the act into law in January. Midler shared a number of critical tweets on Tuesday during Trump’s State of the Union, in addition to the coat hanger reference. She poked fun at Trump’s “sniffles,” accused the president of taking away people’s food stamps, referred to Trump’s mention of rising employment rates as “those minimum wage jobs,” complained about the cost of her medication, asked who wrote the speech, and claimed Trump was foaming at the mouth about immigration. “A stampede to the exits as the exhausted audience rushes to the nearest open bar,” Midler tweeted when the address was over.